Yesterday was quite a day…I drove to Hertfordshire early in the morning to have a panel of my work and an in-depth working profile document on my business judged by five of the UK’s top photographers. I’m absolutely delighted to announce that as a result I’ve been awarded the prestigious Licentiateship with The Master Photographer Association, and the Newborn Safety Certification as well, and am officially a Master Photographer! The MPA has the reputation for having the most challenging qualification requirements, and I’m more proud than I can say to have become a qualified member. The Newborn Safety Certification is a highly significant qualification to hold as well - only a handful of photographers in Wales are certified, and I’m the only photographer in Monmouthshire to hold this certificate. The newborn photography industry is currently unregulated - there is no board or authority that checks up on photographers to ensure that they’re using safe working practices. 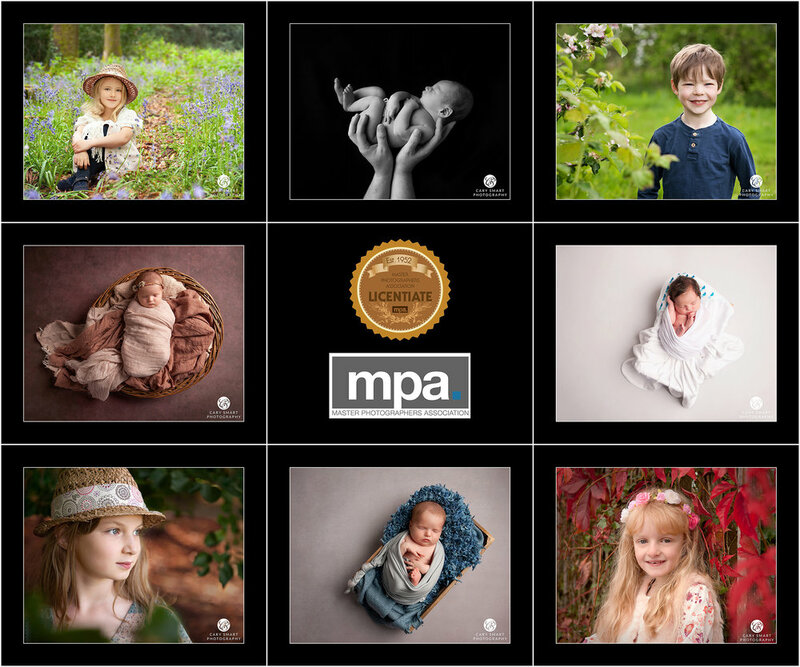 The MPA’s Newborn Certification is awarded only to newborn photographers who submit their Health & Safety policies and practices along with evidence of safe working practices to a level that satisfies the MPA…what this means is that my clients can be assured of their baby’s safety and wellbeing throughout their newborn photo session. Choosing a qualified professional photographer for your session, whether newborn, child or family portrait, is your assurance of quality and service.